The New Zealand Venture Investment Fund says new rules permitting equity crowd-funding investments for start-ups could allow angel investors to develop platforms to integrate crowd-funding with their investments. 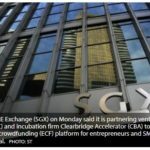 “The Financial Markets Conduct Act 2013’s provisions permitting crowd-funding in New Zealand come into effect on 1 April. We have watched the development of crowd-funding investment in the United States and believe it could have a positive impact on New Zealand start-ups,” says Franceska Banga, NZVIF’s chief executive. “The early stage investment community, and particularly angel networks and investors, need to consider how crowd-funding can be integrated with existing investment platforms in order to increase the capital available to young start-up companies. “Angel investment has become, over the past decade, an important source of capital for start-ups. At the same time, non-equity crowd-funding platforms, like Kickstarter, have seen exponential growth, especially in music, design and consumer products. “These new rules provide the opportunity to design new platforms which bring together the best of angel investing with the best of crowd-funding. “The United States is leading the way. Angel List, for example, has developed a platform which enables start-ups which have received a certain level of angel investment to then be able to seek further capital from crowd-funding. “The benefit of this sort of structure is that it opens up angel-backed companies to a much broader pool of investors. People keen to invest through a crowd-funding platform might be more attracted to an investment proposition which has already attracted angel investors and due diligence has been done. They might also want the assurance that the investment is properly executed, and includes appropriate investor protections.